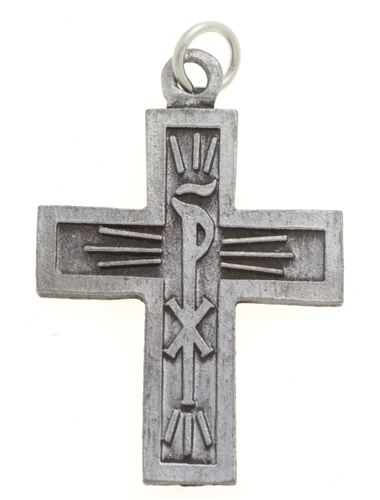 This cross has been used by communities worldwide and is available at a special price from Symbols, Inc., to help promote its availability to Fourth Day groups. Bulk discounts are also available. 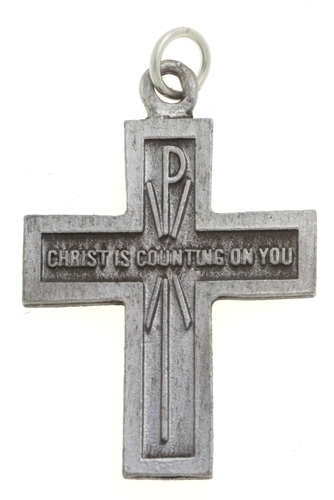 This cross is thick cast pewter (1/8") with "Christ is Counting on You" slightly raised on the reverse side surrounded by the Chi Rho symbol and with a slightly raised border. 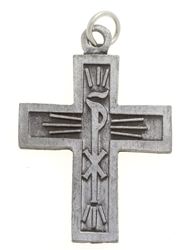 Copyright © Symbols, Inc. All Rights Reserved.